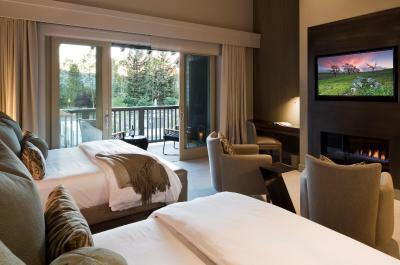 Lock in a great price for SENZA Hotel – rated 8.8 by recent guests! Second time at Senza. 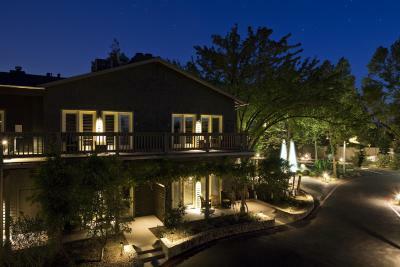 It is a very good hotel, good location although you will need to drive every time you need to move. It's located between Downtown Napa and Yountville. Great breakfast. Lobby does not match the boutique feeling of the rooms, really below expectations. Good overall, but next time there I will try another one. Grounds were pretty. Spacious, well appointed rooms. 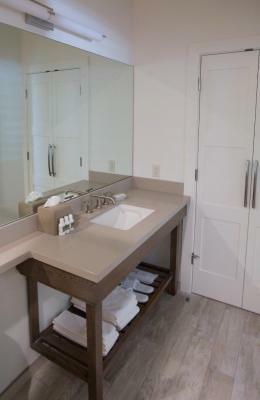 Bathroom with double vanity. 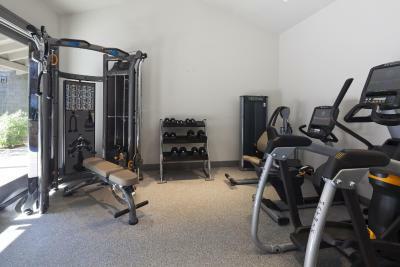 Pool, hot tub, spa service and a little exercise room. 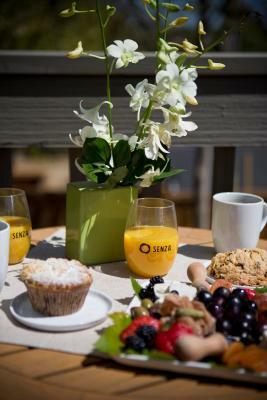 Great morning breakfast spread and very nice happy hour with wine each day. 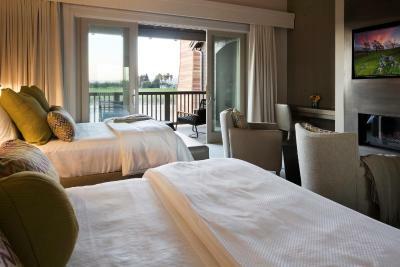 SENZA was amazing for our Honeymoon we had a beautiful room overlooking the vineyards. The robes provided were amazing. Complimentary breakfast was one of the best I have had, it was plentiful. The staff was also so friendly and helpful. Lovely room, loved the fireplace (so easy to use), great location and wonderful breakfast (reminded me of the hotel breakfasts we enjoy in Italy)! Bed was very comfortable, the heated floors in the bathroom were a great plus and the complimentary breakfast was delicious each day. 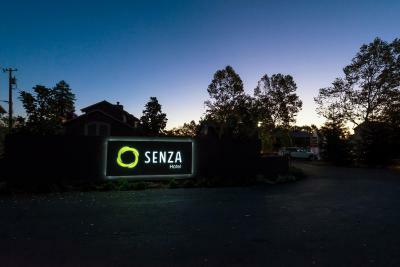 SENZA Hotel This rating is a reflection of how the property compares to the industry standard when it comes to price, facilities and services available. It's based on a self-evaluation by the property. Use this rating to help choose your stay! 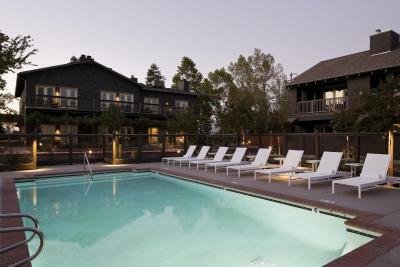 One of our top picks in Napa.SENZA Hotel, nestled in scenic Napa Valley, features a sun deck with an outdoor pool. 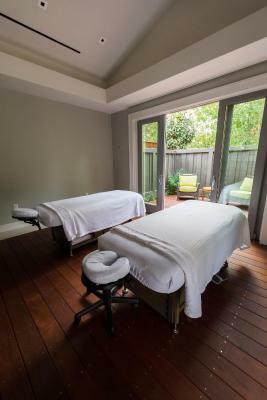 All rooms have French doors that open to a private patio and offer a bathrobe. 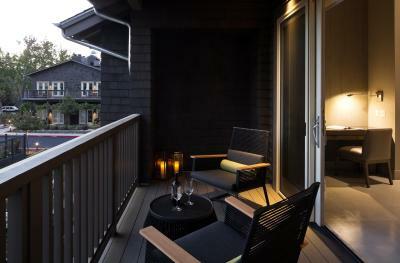 Each room at SENZA Hotel Napa is decorated in antique furniture and original artwork. 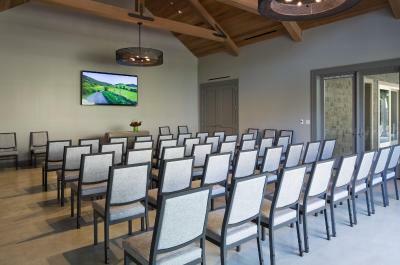 All rooms are equipped with a flat-screen cable TV, CD player and a comfortable seating area. 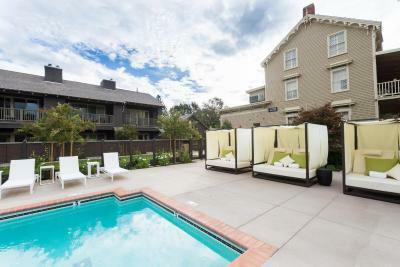 Guests of this hotel and relax in the outdoor hot tub or sunbathe in poolside lounge chairs. 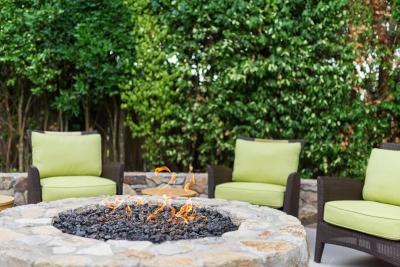 A shaded patio is available and the hotel also offers a daily continental breakfast. 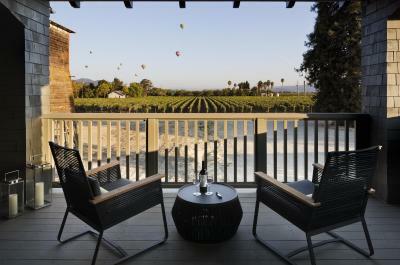 SENZA Hotel is just one mile from California Wine Tours, which arranges tours of Napa Valley wineries. 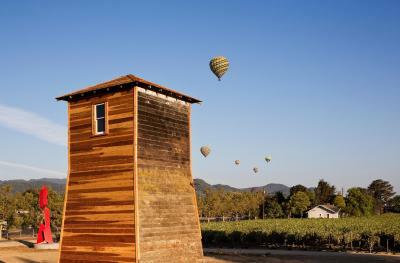 Vintner’s Golf Club is a 7-minute drive from the hotel and Napa Valley Museum is 11.4 miles away. When would you like to stay at SENZA Hotel? 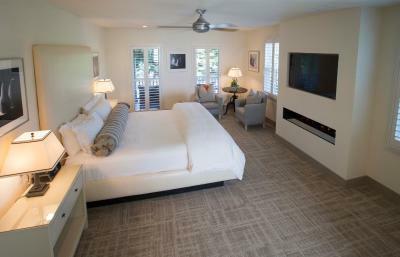 Fine linens, tiled private bathrooms and small sitting area with a flat-screen TV is available. Free Wi-Fi is included. 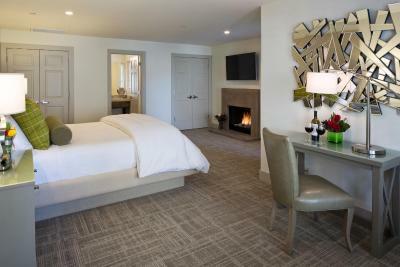 Fine linens, a flat-screen TV and a gas-lit fireplace are offered in the room. 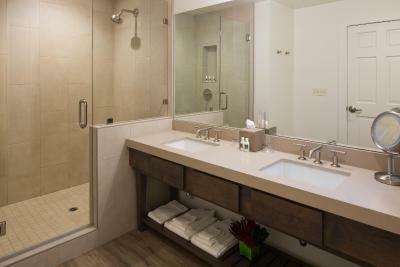 Glass-enclosed walk-in showers, stone counters and high windows are featured in the private bathroom. 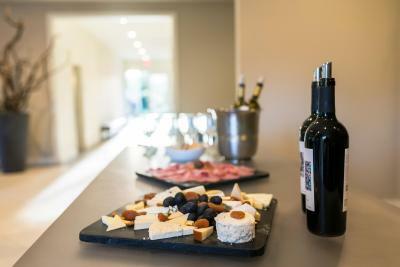 This room is located in the same building as the continental breakfast and evening wine and cheese reception in the dining room. 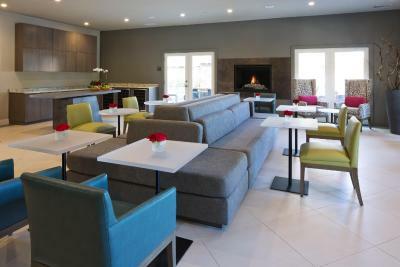 Free Wi-Fi, a flat-screen cable TV, a seating area and a patio are provided. 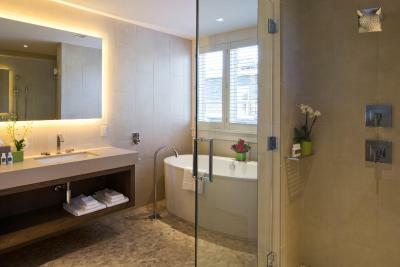 A small refrigerator, an iPod docking station and an private bathroom with free toiletries are also included. Also known as The Vineyard King Suite, this suite features views of the surrounding vineyards, a luxurious bathroom and a separate bedroom. 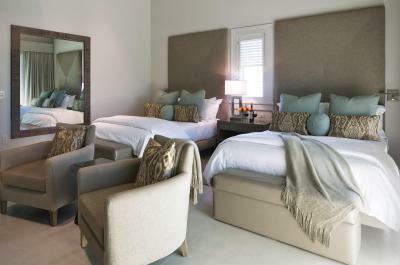 Also known as The Vineyard Two Queen Suite, this suite features views of the surrounding vineyards, a luxurious bathroom and a separate bedroom. 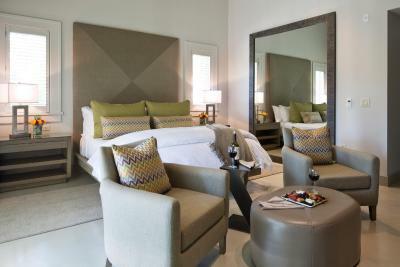 Spacious Cellar King rooms offer an inviting place to begin and end your day. 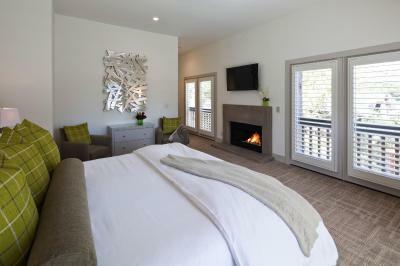 Beautifully appointed, these rooms feature custom-designed contemporary furniture and accents of local artwork and photography on the walls. 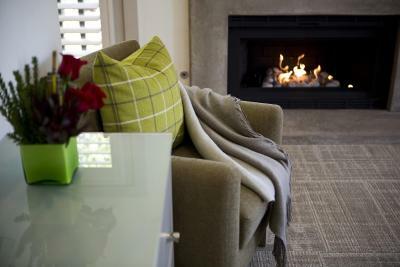 Amenities include a kitchenette with refrigerator and microwave oven, wide-screen TV, gas-lit fireplace, king bed dressed in luxurious linens and a semi-private deck. The large inviting glass framed walk-in shower in the light-filled bathroom features environmentally friendly Caesarstone counter tops. 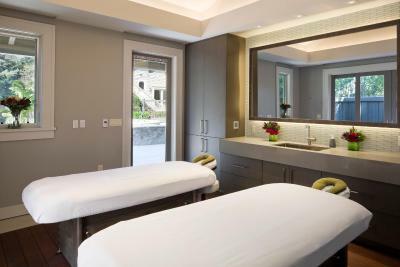 This suite features garden views, contemporary furnishings, a seating area, a flat-screen TV, a fireplace, a patio and a private bathroom with heated floors, dual sinks, a bath tub and a walk-in shower. House Rules SENZA Hotel takes special requests – add in the next step! One child under 3 years is charged USD 50 per night in a crib. SENZA Hotel accepts these cards and reserves the right to temporarily hold an amount prior to arrival. Decoration and interior design is nice. Outdoor sculptures are nice. Coffee maker in the room was great. 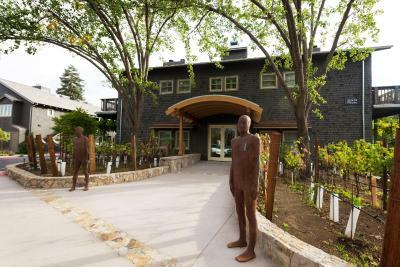 Staff are nice and give great recommendations for wine tasting. Warm hospitality, wine and cheese happy hour. Fabulous room. Lovely rooms, comfy bed, great heated flooring in toilet, parking for our car, quiet and serene. Definitely the lobby needs some work to match the quality you find in the rooms. As a returning customer, I asked to pay half extra day to stay until 5 pm and manager denied so he could sell the room at higher price for the night. I understand it's business but would have expected different approach. Complimentary Cheese and wine hour! Comfortable hotel in a scenic setting. Extremely friendly staff. Great breakfast and enjoyable evening wine tasting. Child friendly. TV, Cable, Internet was poor. 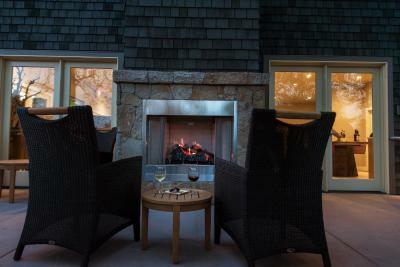 Depending on the season the firepit and hot tub were a distance unless you stay at the mansion. The room is basic more on a standard hotel room level. For the cost I would have preferred Yountville. I loved the bouchon pastries every morning! Beautiful location right next to a vineyard. 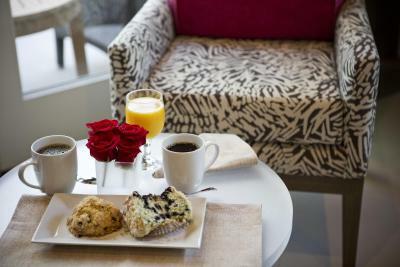 Great breakfast with pastries from Bouchon Bakery. I would say the only downside to the property is that if you are on the second floor of any of the buildings there are no elevators/lifts, at least not in the building we were located in, which I think was called manor hall. I believe the buildings are quite historic which probably explains the lack of elevators. To be fair Stairs should Not be a problem if you’re fit enough to carry your luggage up the stairs. We only were staying a couple of nights at the end of a 3 week trip so we had no choice but to carry up our massive, heavy luggage up the flight of stairs. It’s not a major con to staying at this lovely accommodation but something to be mindful of. 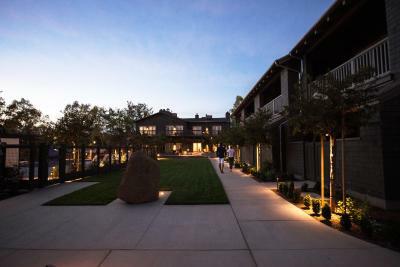 Great location between downtown Napa and Yountville. Wine hour between 6-7pm every night was a nice inclusion. Included breakfast was also fantastic. Definitely take advantage of the complimentary wine tasting at Hall (the owners of that Winery own Senza). Just show your keycard or an email with a booking confirmation and you get to try 5 wines (which would normally cost $40pp). Also eat at the Italian restaurant right next to senza for some great pasta! The staff gave us our room even when we arrived around 12ish. That was very nice of them. They were very efficient in providing us a bigger room when we notified them that there might be a gas leak in the room. 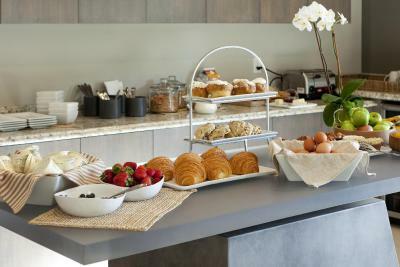 The breakfast was plentiful; and the different bakery products from Bouchon daily were simply divine. The wine and cheese in the evening were wonderful too. The staff is friendly and helpful. They are right beside the highway which makes it very accessible. 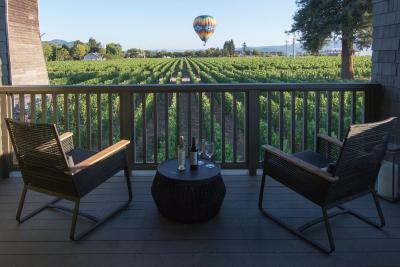 I will definitely return next time I visit Napa.